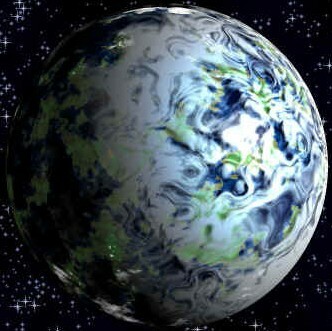 Kothlis is the fourth planet in the Both system and this Bothan colony world was the birthplace of Borsk Fey'lya. It had three small moons, and its gravity maintained a thin asteroid ring around it. Kothlis was a semi-tropical world, with an average day of 22 standard hours and a year which lasts 408 local days. Kothlis was originally purchased by Raynor Mining Enterprises during the Old Republic, outbidding the Bothans on the news that surveys had shown large deposits of valuable ores. However, the original surveys proved overly optimistic and the mines ran dry quickly. In order to cut their losses, Raynor sold the planet to the Bothans. Only three clans were allowed to colonize Kothlis originally: the Alya, the Balya, and Ilya. The Bothan spy network maintained an impressive information slicing operation on the planet. During the Galactic Civil War, the plans for the second Imperial Death Star were taken to the planet after being recovered from the Suprosa. The plans were decoded in a safe house in Tal'cara. Luke Skywalker and Koth Melan observed the decoding but in the midst of it a bunch of bounty hunters looking for Luke burst in. The data was saved by a Bothan tech who ran out a back exit but Melan was killed and Luke captured. The surviving techs beamed the data up to the waiting blockade runner Razor, but it was caught by the Star Destroyer Avenger. Rogue Squadron was sent to rescue the Alliance blockade runner, the Razor, from the Avenger. The Rogues successfully downed the Imperial warship, but not before it regained the Death Star plans, and so Wedge Antilles and his wingmen were forced down onto the surface to retrieve the plans from the Star Destroyer wreckage. After Rebels successfully retrieved the plans, they sent them to the Rebel Alliance High Command. Soon after the Battle of Endor, Kothlis was attacked in retribution against the Bothans who had taken and decoded the data.